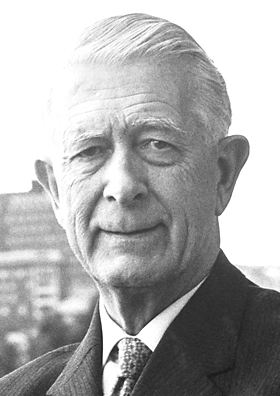 Bertil Ohlin was Swedish economist and politician. A brilliant student, Ohlin received his doctorate from Stockholm University in 1919 and was appointed Professor at Copenhagen when only twenty-five. From 1944 until 1967 he led the Swedish Liberal Party. Ohlin shared the 1977 Nobel Prize with James Meade for ‘pathbreaking contributions to the theory of international trade and international capital movements.’ His classic work is Interregional and International Trade (1933). He is now Emeritus Professor of Economics at Stockholm.